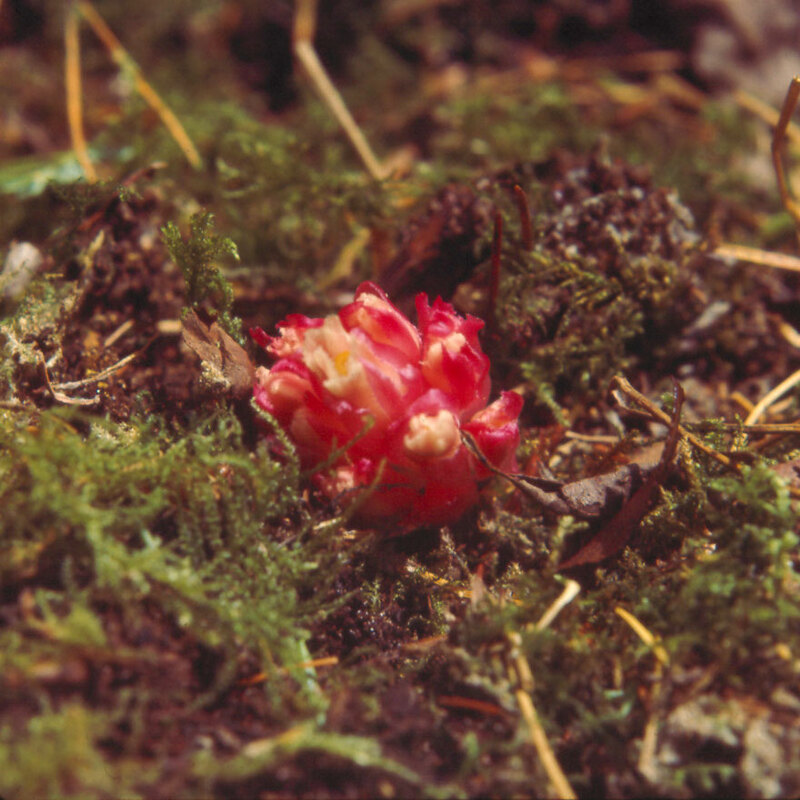 Sometimes Hemitomes congestum is rose rather than pink in color. 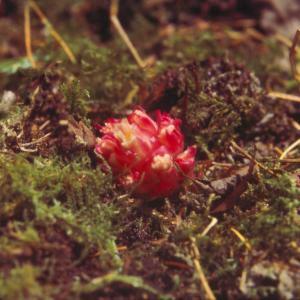 It grows in the leaf litter of conifer forests from central California to Washington. The redwood belt in California is a good place to look for it, but it probably grows on fungi in the leaf litter not of redwoods, but of conifers that grow with the redwoods.